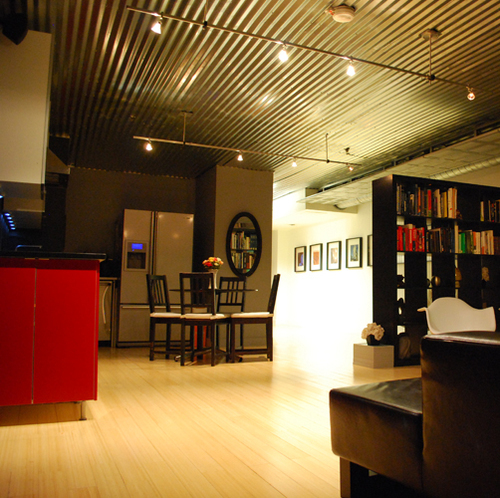 Conversion of Former Warehouse Space into Condominium. This loft conversion within a historic book publishing warehouse sought to upgrade a worn apartment into a modern loft that responded to the client's childhood aspirations. Looking through a series of journals kept by the client as a child, we uncovered an early desire from this life-long city dweller to grow up to live in a place where he could "see the stars." This, along with a limited amount of natural light within the unit, inspired the insertion of a number of skylights and view corridors within the unit. When confronted with the conflicting desires for a new roof terrace and the need to add skylights for access to light, we developed a solution that inserted double skylights in both the roof and the terrace above. The skylight on the terrace is clad with 2" thick plexiglass allowing a walking surface over this view. 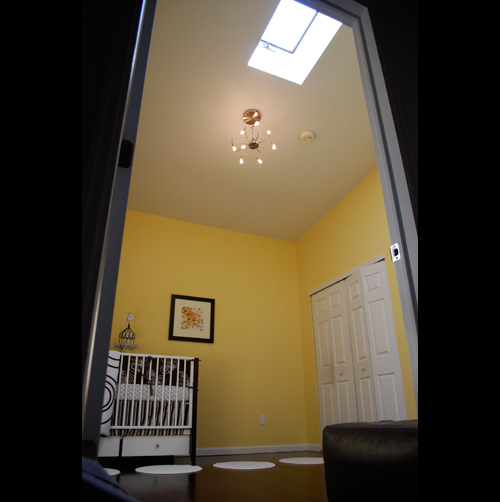 The skylights were placed in such a way that allowed a view to the heavens from the pillow on the bed below, answering the call from the 14 year old journal entry on a nightly basis.